In the kind of polluted environment we live in, face washes remove a major percentage of the gunk, grime, and oil that our skin pores accumulate throughout the day. We all have a different skin type that defines the kind of care and efforts we need to invest in our daily skincare routines. Here, in this post I have compiled reviews of 10 best face washes catering to every skin type and which are also easily available in the market as well as online in India. Ponds is a brand that makes really affordable skincare products. However, these are best suited for people who have problem-free skin. Packaging: These come in a sleek tube packaging which is black in color. Texture, Consistency, Colour and Fragrance: The texture of this product is smooth but thick and the color is gray and has a mild scent. It consists of activated carbon which is known to attract all the impurities and grime. Vitamin B3 also called Niacinamide contributes in building the skin barrier against pollution. This is a good face wash if you have absolutely balanced and normal skin. However, if you want a milder face wash, check out the next one. This face wash is the ideal one if you have normal skin but tends to get oily, especially in summers. Packaging: These come in a bottle as well as a pump packaging. The bottle packaging is travel-friendly. 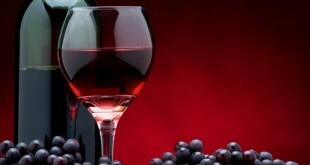 Texture, Consistency, Colour and Fragrance: These have a smooth texture and the consistency is slightly thick. The color is a pale ochre shade and the fragrance is mild. This face wash is gel based, therefore it won’t make your skin dry. Overall, this is a really good pick if you want a face wash that thoroughly cleanses but is still mild on the skin. However, if you have normal, but slightly sensitive skin I would suggest you not to use this face wash as it might not work for you. Check out the sensitive skin section instead! Himalaya is one of my favorite brands when it comes to face washes. They have really affordable face washes which contain ingredients that are natural. They have a wide range of face washes targeted for each skin concern. The Himalaya Moisturizing Aloe vera face wash has ingredients specially put together to prevent drying. Packaging: The face washes come in a standard green tube packaging with a flip cap. Texture, Consistency, Colour and Fragrance: The texture of this face wash is soft, creamy and the consistency is slightly thick. It has a light green color with a fresh scent. It is infused with vitamin E which helps repair and soothe dry skin conditions. With the benefits listed, if you have really dry, stretched and irritated facial skin you can go for this face wash which does an additional task of soothing the skin along with cleansing it of impurities. Read 13 Best Hair Oils for Hair Loss. Dove has some really amazing bathing bars which are not at all harsh and drying on the skin. 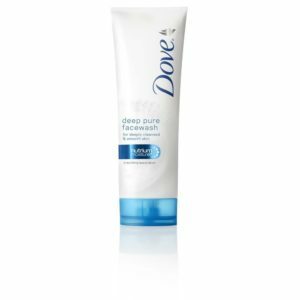 However, Dove face washes are highly underrated and are in fact the best if you are looking for a face wash that is gentle on the face. Packaging: It comes in a standard tube, white and blue packaging. However, the blue shade on this tube is a turquoise shade. Texture, Consistency, Colour and Fragrance: This face wash has a soft creamy white texture with exfoliating beads which is not too thick and a fragrance that is pleasant. It contains small exfoliating beads which gently scrub out the dead skin cells. It consists of moisturizing agents which prevent moisture loss from the skin after each wash. 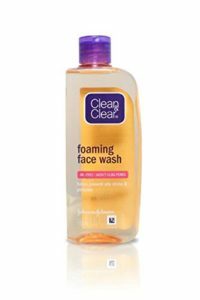 In conclusion, if you have dry skin which gets patchy and needs exfoliation you can go for this face wash.
Clean and Clear is one of the top face washes in the affordable range for oily skin. They market their products targeting the teen population, however, in general, it is one of the best for keeping oil in control. Packaging: The face wash comes in a transparent bottle packaging with a purple flip open cap which is quite sturdy. These also come in travel size bottles. Texture, Consistency, Colour and Fragrance: The texture is smooth and the consistency is somewhere between runny and thick. This face wash has a mild fragrance and comes in a yellow gel based form. Being a gel based face wash, these contain ingredients which cleanse the skin of all the oiliness and does not clog pores which prevent breakouts. These also contain glycerine which prevents drying of the skin, keeping the skin balanced in terms of oiliness. Overall, if you have very oily skin and occasional breakouts, I think this would work perfectly for your skin type. 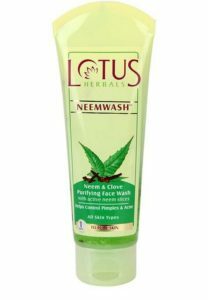 Lotus herbals is a known brand for their amazing sun block products, however recently their face washes are also stealing some limelight. Their scrubs, as well as their face washes fair really well. However, this particular face wash is really great for acne-prone skin. Packaging: These come in a tube packaging in a cream yellow shade. Not very fond of the packaging, it could have been sturdier. Nevertheless, the product in itself covers this flaw. Texture, Consistency, Colour and Fragrance: This has a gel texture with preserved slices of neem but quite a runny consistency. The color is light green and it has a very herbal kind of fragrance. This face wash contains neem actives in the form of slices, which is known for its antibacterial properties. Neem controls breakouts. Clove is also antibacterial and is known to have healing properties. This helps dry out the acne quickly. In conclusion, if you have really angry acne all over your face you can go for this face wash. The Body Shop is known for their quality products. They have an amazing range of bath and body products as well as some really great face washes. One of them is their Tea tree range which includes a cleanser, toner, moisturizer and a serum. I will be reviewing only their cleanser here. Packaging: It comes in a bottle, however, I have also seen their product come in a pump packaging with a cap, which is really convenient to use. Texture, Consistency, Colour and Fragrance: This face wash is gel based and the consistency is not too thick either. It comes in grass green color and has the smell of tea tree which is not very pleasing in my opinion. This face wash consists of Tea tree oil which is known for its antibacterial properties and it targets blemishes. Tea tree oil also helps to control the oiliness on the face and being a gel based cleanser, this does not dry your skin. Overall, although this product has been marketed for blemish prone skin, I think anyone with combination skin can go for this face wash as it is a mild cleanser which would remove the excess oil as well as does not leave the skin drying. Also read 10 Best Facial Scrubs in India. This is one of the best selling products when it comes to face washes because of its affordability, availability and it being a face wash with few chemicals. Packaging: These come in different sizes and have many packaging variants. They come in a tube, bottle and pump packaging which I would say is quite sturdy. Texture, Consistency, Colour and Fragrance: This face wash is gel based and the consistency depends on whether it is the foaming cleanser or the normal variant. The color is bright green and it has a herbal scent. Turmeric is an antiseptic and also helps give a healthy glow to the face. This face wash being gel based does not cause dryness and also removes excess oil. These faces washes although targets pimple prone skin, I think it would best work for combination skin because it controls just the right amount of oil. In conclusion, these face washes are gentle on the skin and they do not dry the skin. However, if your skin starts to get dry, especially in the winters you should go for cream based face washes or use a heavy moisturizer after a face wash.
You might also be interested in Top 5 tulsi Products for better skin and health. 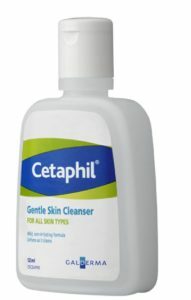 Cetaphil products are made by a pharmacy company and are usually prescribed by dermatologists. Packaging: This comes in a bottle packaging with a sturdy flip cap. It also comes in a pump packaging. Texture, Consistency, Colour and Fragrance: This cleanser has a really soft texture and a thick consistency. It is white in color and has no fragrance. It just has basic cleansing ingredients making it suitable for sensitive skin. This is a great product for all skin types especially sensitive skin and is very affordable. Bioderma is a brand that manufactures their products keeping in terms of the skin tolerability. Their products are imported and are usually available online as well as in huge chemist chain stores. Packaging: These come in a pump packaging which is sturdy. The only drawback of the packaging is that it is not travel-friendly. Texture, Consistency, Colour and Fragrance: This is a gel based face wash and its texture is smooth and the consistency is quite thick. It comes in a water blue color and has a very mild cucumber scent. These have ingredients that help control oil and also are gentle on the skin. Overall, if you are someone with combination but sensitive skin, this would work for you. These are the list of some of the best face washes available in the market for every skin type. 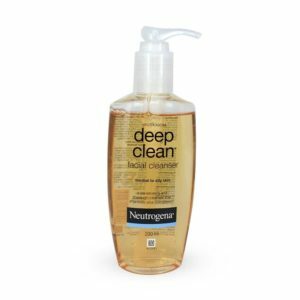 What are your favorite face washes for great skin? Share in the comments section below! I'm a Psychology student exploring the field of beauty blogging. Apart from blogging, I'm an avid reader and a fitness freak. I solely believe in the power of hard work and persistence.